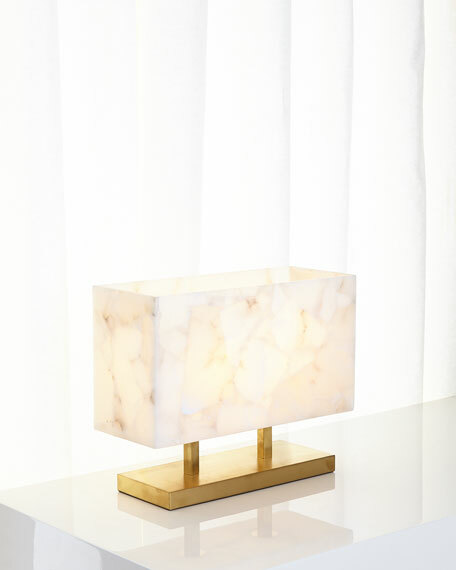 Lamp made of alabaster and steel. Switch on socket; uses two 60-watt bulbs. 18"W x 7"D x 14"T.